Gauges are among the most important indicators of what's going on with your engine. It’s important to ensure that your engine's gauges are working properly, because they give you indications about your engine that can make a huge difference. For instance, if your fuel level is low, you need your fuel gauge to be working properly to notify you when you're low on fuel so that you know when to stop and refuel. >No matter what type of Detroit Diesel o Cummins engines model you have, we have the Detroit Diesel replacement parts in our online inventory to assist you here at Diesel Pro Power. We carry electrical gauges with 24 volts of power to accommodate you when you're in need of electrical gauges with voltages higher than 12. Different types of engines use different types of gauges and different voltages, though, so ensure that your engine is compatible with these gauges before installing them. 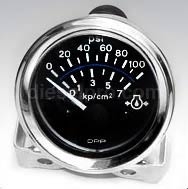 Some engine models use mechanical gauges, whereas other use electrical and so on. 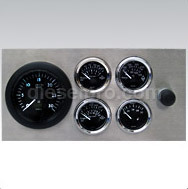 We offer everything from complete instrument panels for your engine to individual gauges. 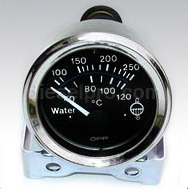 Some of the different types of individual gauges that we offer include oil gauges, fuel gauges, water temperature gauges, water level gauges, tachometers, voltmeters and others. Our 24 volt electrical gauges have been designed to withstand heavy duty usage, so if you plan on putting your Diesel engine through demanding usage, then these gauges are likely the best ones suited to your purposes. 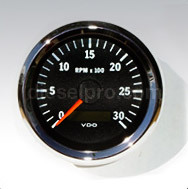 Our gauges are suited for both automotive and industrial style Diesel engines, and they come with a sleek chrome finish. Don't go without the gauges that you need to get your engine in optimum running condition when we make it easier than ever for you to order them online from the comfort of your home or office.